Nail Polish is something i am still getting to grounds with. I have a ton of nail polish and pretty much collect them but i tend to leave them without trying anything with them. But it was a challenge today to do something about it. 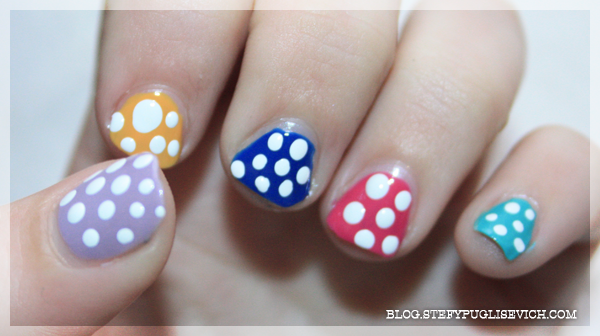 With Spring around the corner, i was inspired by colourful things and polka dots! And this is what i came out with. 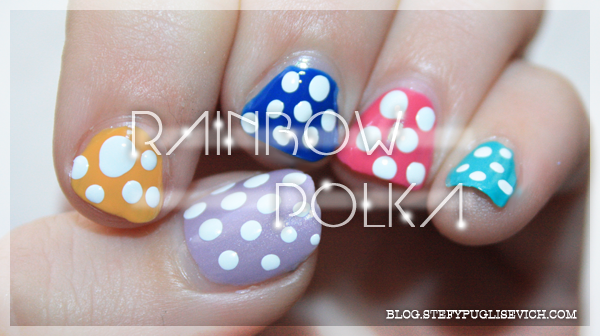 Rainbow Polka Dots!! A TUTORIAL will be up on Saturday as i made sure to take enough pictures and the nail polishes used, so stay tuned! DO YOU LOVE EXPERIMENTING WITH POLISH?